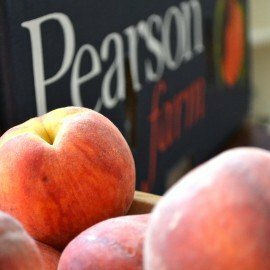 It’s mid-summer and that means lots of juicy fresh peaches, especially in Georgia, The Peach State! 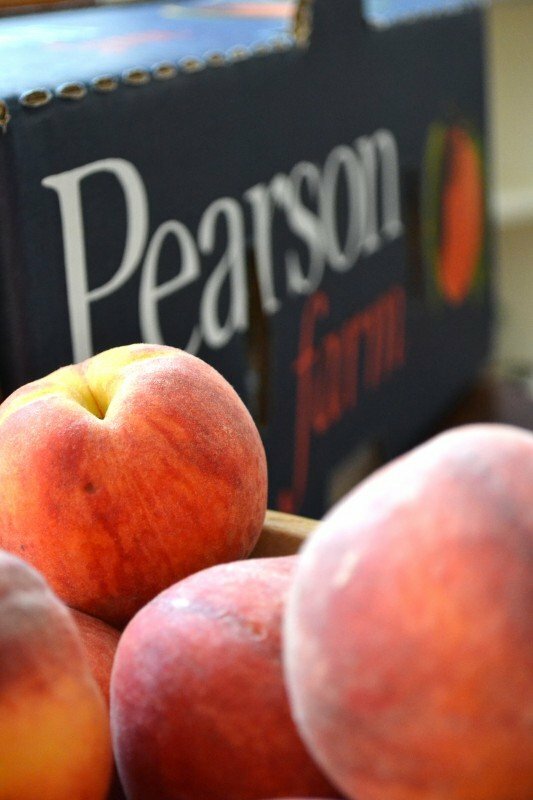 We love to visit Pearson Farm in middle Georgia each summer at least once to load up on their sweet fruit! It’s a friendly family operation with a viewing area and the best homemade peach ice cream around. 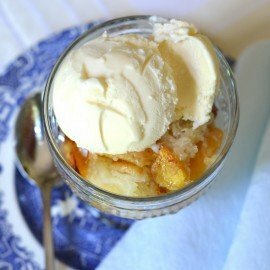 Our family loves this easy peach cobbler, and we make it for many of our get-togethers! My grandmother, aunts, and mom have made it as far back as I can remember. 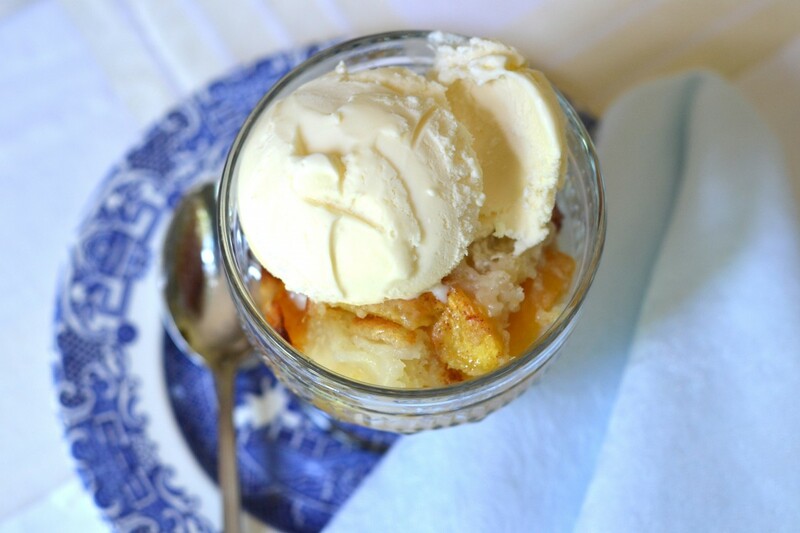 We serve this cobbler warm and usually topped with a scoop of vanilla ice cream! This recipe is so simple! Oh, and wait ’til you taste the “crust”…it’s wonderful! Enjoy! 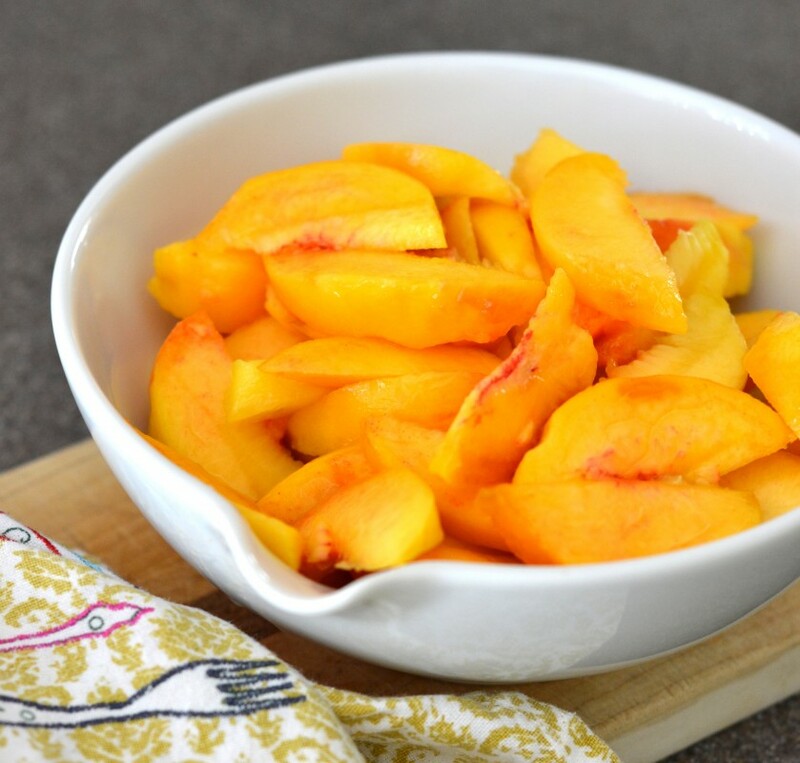 Peel peaches and slice into a bowl*; set aside. Place stick of butter in a 2-quart casserole; put into oven until butter is melted. Remove from oven. In a separate bowl add flour, sugar, and milk; mix together. Will have small lumps in batter. Carefully pour the batter into the melted butter in casserole dish. Do not stir or mix the batter and butter together! 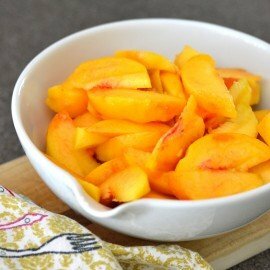 Place sliced peaches on top of butter and batter; do not mix! Place in preheated oven and bake for 60 – 65 minutes. Let cool slightly and serve plain or with ice cream. Add fresh blueberries or blackberries when you add the peaches. Sprinkle cobbler with cinnamon sugar before baking. When peaches aren’t in season, a large can of sliced peaches, drained, will do. 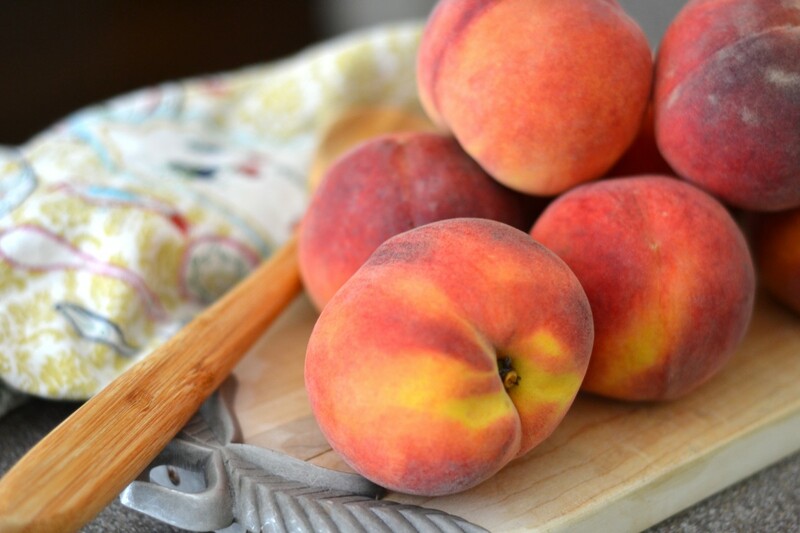 * If your peaches aren’t especially sweet, sprinkle with a tablespoon of sugar when slicing into bowl. Peeling peaches can be easy if you drop one peach at a time into a pot of slow boiling water for about 10 seconds. 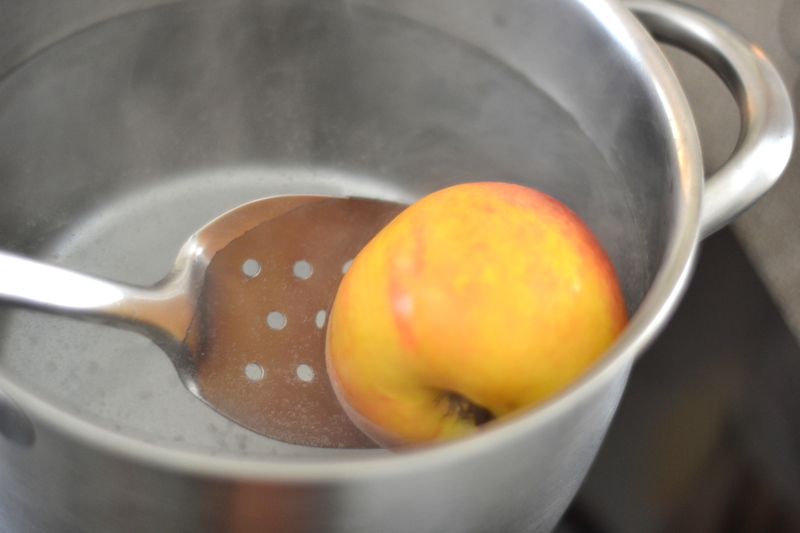 Carefully remove peach with a slotted spoon. Use a paring knife to lift the skin and just pull. 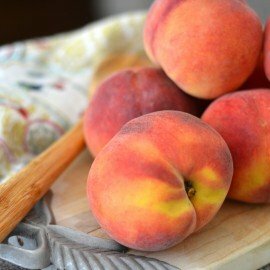 Skin should come off easily and without taking any peach with it! i’d love this with some vanilla ice cream. yum!